The last time I planned a Euro trip, Italy, Netherlands and Switzerland all got left out of the travel itinerary due to insufficient days off from work. Never got to savor the taste of authentic Italian cuisine. The dream of sinking my teeth into melting buffalo mozzerella cheese topped with the finest tomato sauce, zucchini and the likes, pretty much remained a dream. Fast forward to 2018, I've had my fair share of Italian cuisine in Dubai but you have to go to a restaurant/cafe that hosts an Italian chef to really savor this cuisine. I recently paid a visit to Cucina Mia Ristorante. 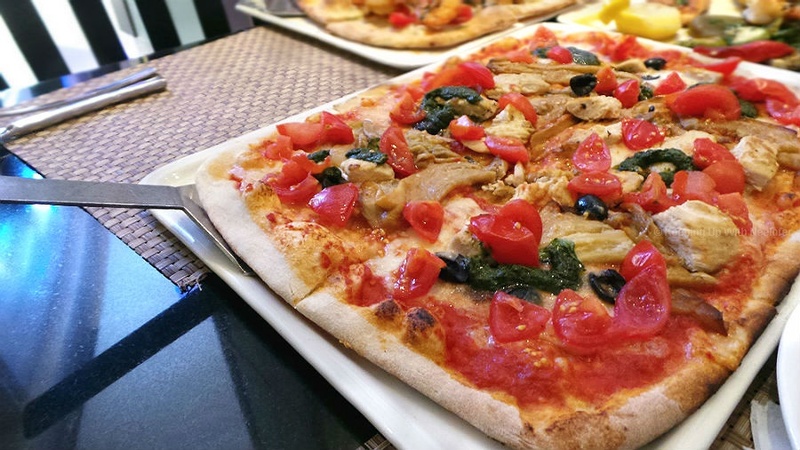 Nestled in JBR, this little Italian gem is not hard to miss. With the interiors giving off an air of Italian streets, Cucina Mia is a quaint restaurant with a menu that excels in variety. The chef, Matteo Bissante takes great pride in his craft and the food served on the table is a result of that passion. 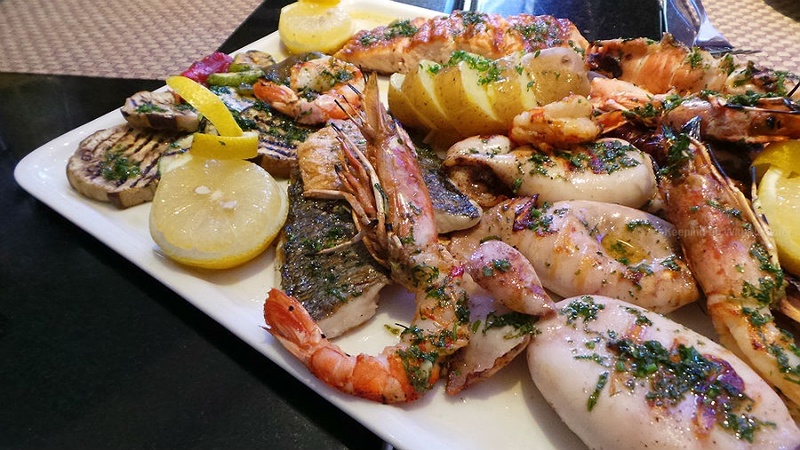 We tucked in straight into the Grigliata Mista, a ginormous grilled seafood platter consisting of salmon, calamari, octopus, seabream and prawns. 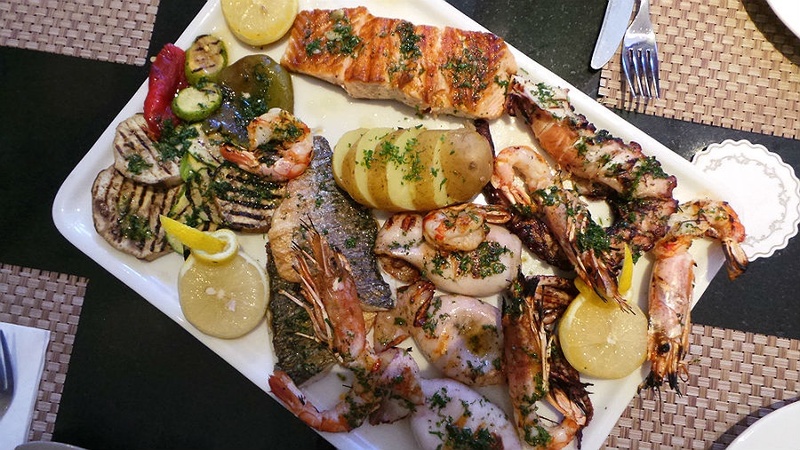 Grilled to perfection, this platter will delight even the most picky eaters. I'm slowly getting back to consuming seafood (I have my favorites) and the salmon won me over. The prawns and calamari were equally appetizing but the star of the evening? The pizza! No matter where you are and what diet you are on, pizza will always have a special place in (almost) everyone's heart. This childhood weekend dinner has evolved and dining on pizza made by an Italian chef made me realize I should plan a trip to Italy ASAP! The menu has 2 pages of various wood fire baked pizzas and the choices can get a little overwhelming however, the best thing about Italian pizzas is their simplicity. Each pizza has a maximum of 4 toppings and you have the option to add more. We ordered the Parmigiana Di Melanzane and the Salmone. The former is a pizza that has a crisp base blanketed by tomato sauce, topped with the finest buffalo mozzarella cheese, eggplant and basil leaves. Eggplant is one of my favorites and so is chicken, so I had this pizza topped with chunky tender chicken. I'm used to eating pizzas that are quite thick and extremely doughy, so the Parmigiana Di Melanzane was quite a pleasant surprise. I suppose this is why the Italians love their pizzas so much! I have a feeling a lot of them would raise their eyebrows if they were to taste the same pizzas I've had previously. We supercharged the Salmone pizza (salmon and parsley), with prawns, olives and cherry tomatoes and this pairing took us on a seafood gastronomical adventure. The fresh taste of cherry tomatoes along with perfectly cooked seafood reminded me why I should prefer seafood over chicken. 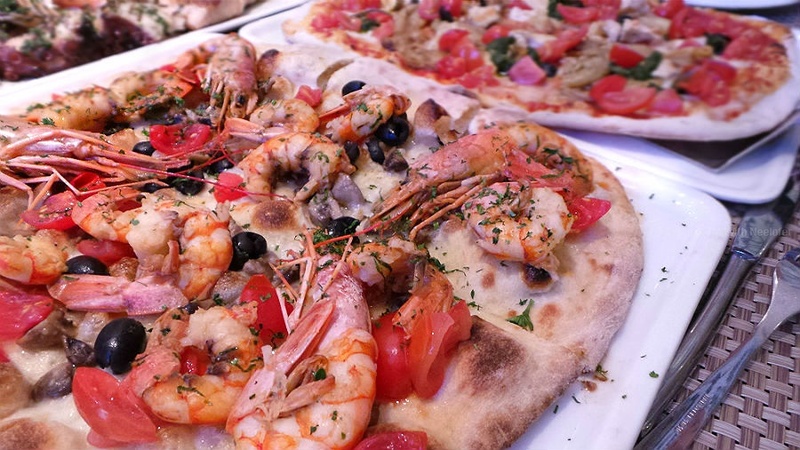 The chef was quite generous with the prawns topping and I have yet to visit a venue that makes seafood pizza so delectable. What's a meal without dessert? Like they say, when in Rome, do what the Romans do. So, on our table come delightful looking helpings of Tiramisu, Creme Brulee, Tortino Al Cioccolato and Profiteroles. 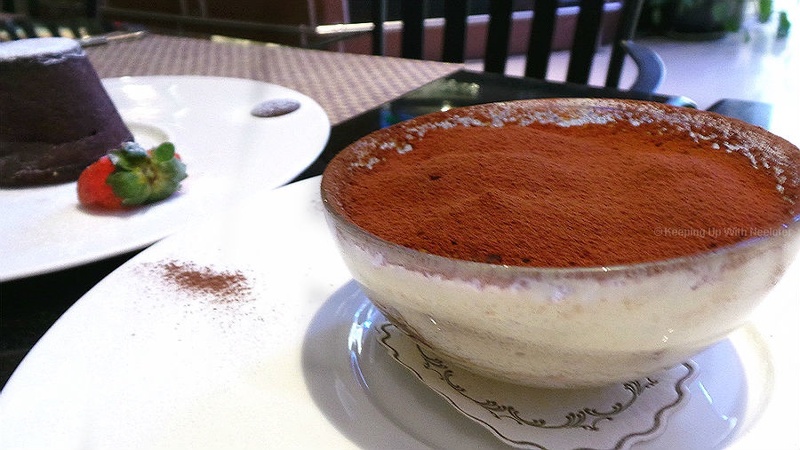 How can you not fall in love with Tiramisu? This particular one had a rich, creamy flavor to it and the ladyfingers soaked in espresso melted in the mouth. It was so good that we almost forgot about the rest of the desserts. 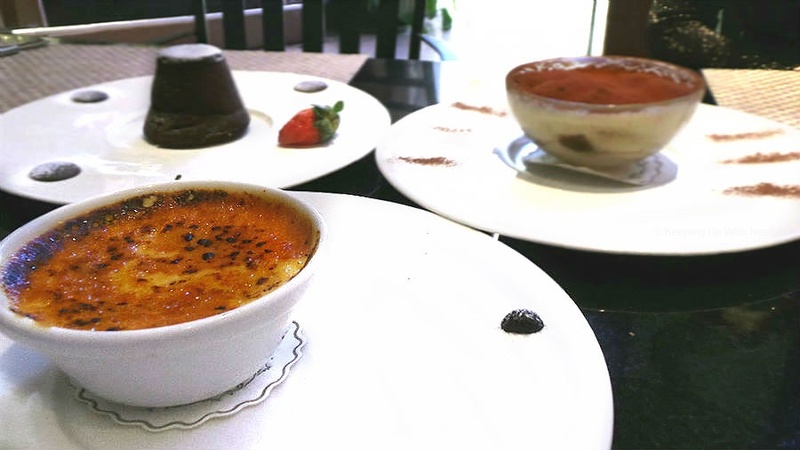 The Creme Brulee, another delightful crunchy custard dessert made it into my favorites list. The smooth layer of custard beneath the crispy cloak of caramelized sugar was quickly emptied. 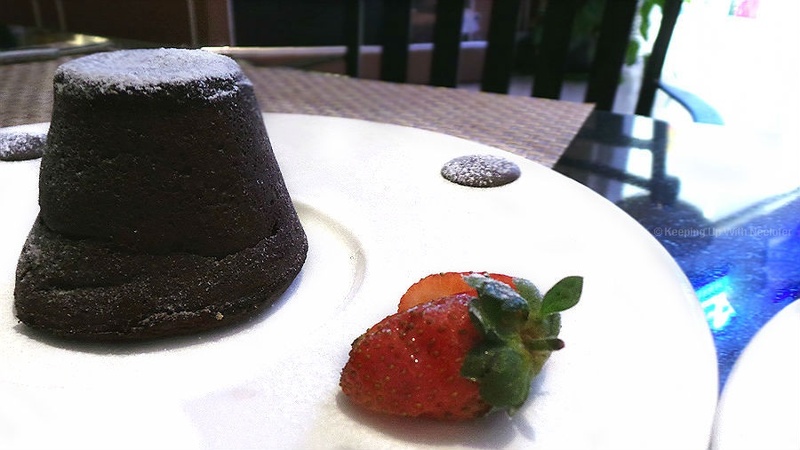 The Tortino Al Cioccolato reminded me of my very first attempt at a Chocolate Fudge Cake. It was a success but it didn't taste anything like the one I had at Cucina Mia. 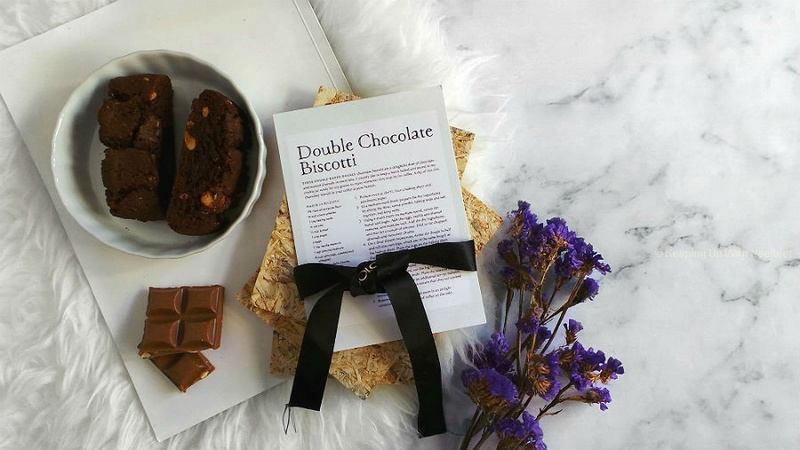 The crumbly and subtle crunchy exterior of the cake revealed a velvety fudge center and made the experience an incredible one. 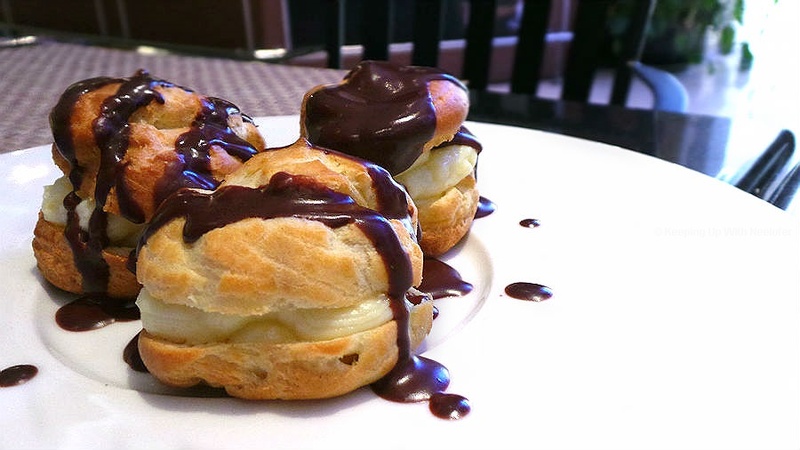 The Profiteroles sealed the deal. I love these tiny bites and the pastry spheres filled with sweetened cream were the perfect conclusion to a wonderful evening. Overall, I'd give the place a 4/5 for service that never disappointed, good food, ambiance, and zero hassles when it comes to parking (you get 2 hours parking validated at the restaurant). It also has outdoor seating, so best take advantage of that in the cooler months of the year. I'd definitely recommend you try their Parmigiana Di Melanzane (with or without chicken), the grilled seafood platter and Tiramisu (you can't afford to miss the dessert!). A meal for two will cost about AED 250- 300. To make your week even better, the restaurant currently has a 2 for 1 pizza deal every Monday (valid for dine-in and delivery). Call 04- 425 9696 for Pizza Mondays! Cucina Mia is located in Trident Grand Resident, JBR, Dubai.